Forgotten Flag Raisers - GI Film Festival | Reel Stories! Real Heroes! Showtimes will be posted shortly. Please check back soon. While the raising of the American flag during the Battle of Iwo Jima has become one of the most iconic and powerful symbols in American History the true story of a flag raising that proceeded that event immortalized in bronze has not officially recognized by the US Marine Corps. After decades of controversy, filmmaker Dustin Spence’s interviews and research provide the basis for the definitive account of who was really there, pitting him against years of misinformation. A native of Northern California, Dustin served as a historical researcher and consultant on the Steven Spielberg and Tom Hanks Executive Produced World War II TV mini-series “The Pacific.” A published historian, public speaker and expert on the historic Battle of Iwo Jima, Dustin studied International Relations at UC Davis and screenwriting through the UCLA Extension Writer’s Program. 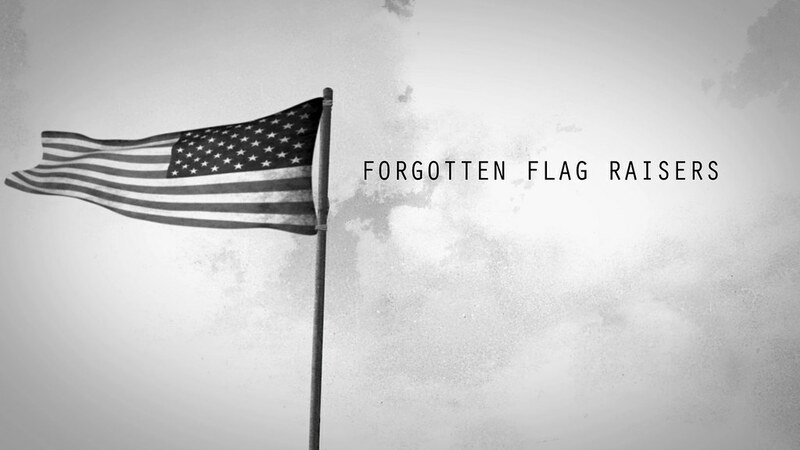 With the help of his Executive Producer RJ Jackson Dustin recently completed his professional debut feature length documentary titled, “Forgotten Flag Raisers” which will be making its World Premiere at this year’s 8th Annual GI Film Festival.